Germinating cannabis seeds is easy, if you use a cup of water says our scribe, Matt Mernagh. 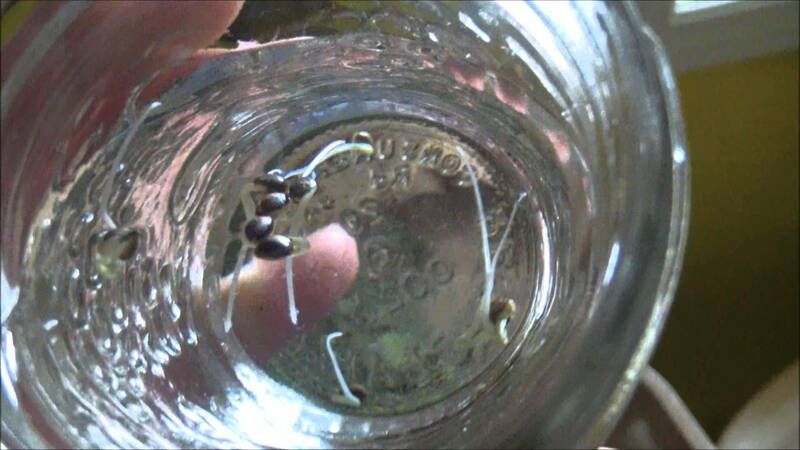 In this post he answers the question he gets time and time again: how to germinate seeds. A fairly experienced grower called me recently panicking over germinating cannabis seeds. They think germinating cannabis seeds is so difficult that they started purchasing marijuana clones from their local dispensary. Now they are opting to start their own garden from seed and that means germinating seeds again. I was a wee startled they were having a problem germinating seeds, especially germinating cannabis seeds, because they had skills. Apparently people really do have problems germinating cannabis seeds. The most common question coming my way is about germination. During my friend’s fretting they started going on about seed mats, humidity domes and moist paper towels. They wanted to know what was my secret to balancing all this and successfully germinating cannabis seeds that grow into big bountiful pot plants? No secrets. A lot of people keep asking me how to germinating cannabis seeds. So I’ve been explaining how easy seed germination is in videos and probably a few blog postings about germinating marijuana seeds too. When it comes to germinating cannabis seeds ditch the paper towel method! It’s a terrible way to germinate. Sure some hippie has been germinating seeds this way for hundreds of years. But trust me I’ve heard many a horror story of paper towels drying out. In about twenty four hours and the most vigorous seeds will have popped and be ready to drop into soil. That’s the next step. Once your done germinating cannabis seeds they’re ready to be planted. For cannabis seeds I’ll use plastic beer cups filled with moist pro mix. Don’t forget to punch some holes in the bottom of the cups. These are placed in a small seedling CFL grow tent. The CFL lights won’t harsh a seed and provide fantastic root and vegetative growth. Within two weeks a good root base is formed and you’ll be able to cut away the plastic cup to transplant them into their next phase. Autoflowering marijuana seeds are a wee bit different because they don’t like to be transplanted and grow exceedingly quick. Skipping the beer cups and the CFL seedling tent altogether, these seeds go directly into the pots they’ll finish flowering in and under more powerful lighting too. The biggest challenge starting autoflowering seeds is keeping the soil moist – like in the paper towel method – when you have high intensity discharge lights blasting at very close range for 20 hrs a day. Growers ought to check on their autoflowering seedlings twice a day because it’s 20 hours long. Ultimately your germination success is dependent on your ability to keep your seeds sufficiently watered and providing a healthy grow environment. Even after germination some seedlings will die off if you’re not careful. The cup of water method works amazing at near perfect germination, but you may lose a few seeds during the first few days if you’re not paying attention. I’ve had my autoglowering seeds in a cup of water, in the dark at 78°F for three days. There’s a tiny root about an eighth of an inch on one and shorter on the other. I’ve been waiting for them to get longer but they seem stuck. Should I put them in soil now or wait? Forgot to also ask if you recommend plain or nutrient added soil when I do plant them.